Remember how in the last post I said that Virginia Woolf’s Beouf en Daube was one of about seven literary meal holy grails? 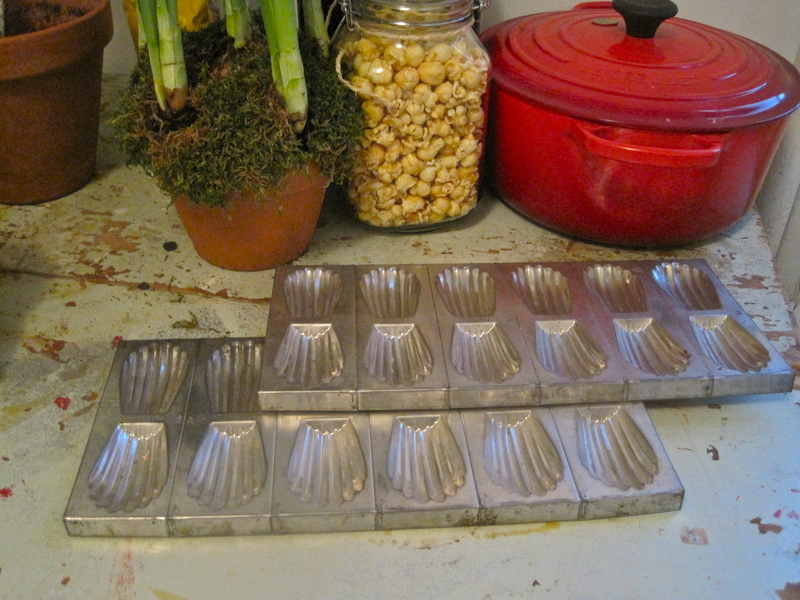 Well I’m about to tell you about another one—Marcel Proust’s madeleines. Everyone knows about the madeleine’s from Swann’s Way, it is one of the most glaringly obvious and devastatingly powerful food scenes in all of literature. 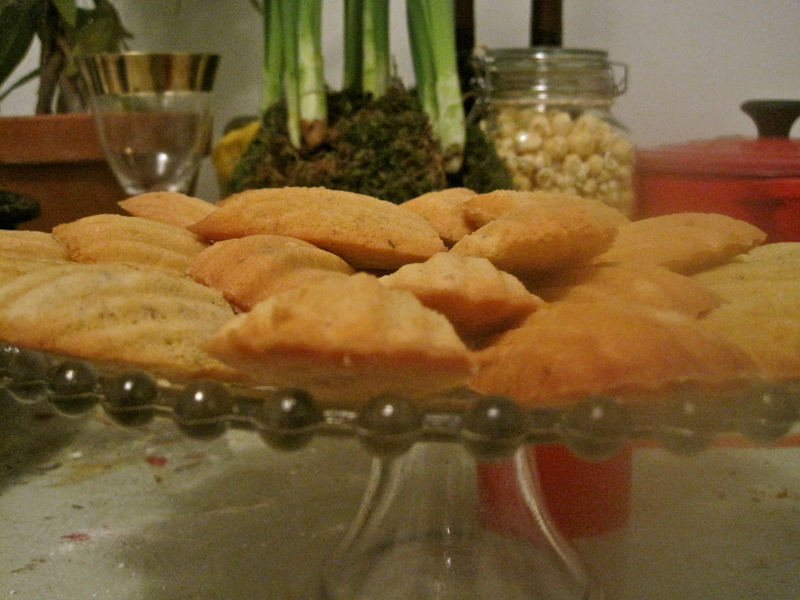 Now here is where I admit to you that the madeleines are the only reason that I ever even attempted to read Proust. That, and the fact that “Swann’s Way” was the name of our summer house growing up. I’m not entirely sure who named it this, but that was always what we always called it. It was a crumbling farmhouse from the 1800’s, with those grey-brown weathered shingles you only find in New England, a fireplace so deep and wide it could comfortably accommodate four sitting children and a huge hanging cast-iron cauldron, a stone barn covered in neon yellow and cushy green moss filled with mice, owls, stray cats, and ghosts—lots and lots of ghosts. I spent the loveliest years of my childhood with my sisters and cousins in this house, swinging on the creaky white swing-set, running around in the crabapple orchard behind the house (throwing those crabapples with all of my might at the sassy neighbor boy), lounging under the ancient weeping willow surrounded by lavender so strong-smelling it actually hurt your tiny nostrils. In the morning there were boxes of Fruity Pebbles and Entenmann’s old-fashioned donuts soaked in thick whole milk, and at night there were sunburns and fresh fish and jugs of wine and English Beat records and sometimes, if we were lucky, Hungry-Man tv dinners and Roger’s and Hammerstein’s Cinderella. All of these sensory, memory-triggering experiences that my sister, cousins and I were exchanging that day are what Proust would call “involuntary memory.” In Swann’s Way it is the eating of a madeleine dipped in tea which triggers one of these full body memory experiences for Proust. No sooner had the warm liquid, and the crumbs with it, touched my palate than a shudder ran through my whole body, and I stopped, intent upon the extraordinary changes that were taking place. An exquisite pleasure had invaded my senses, but individual, detached, with no suggestion of its origin. And at once the vicissitudes of life had become indifferent to me, its disasters innocuous, its brevity illusory–this new sensation having had on me the effect which love has of filling me with a precious essence; or rather this essence was not in me, it was myself. I had ceased now to feel mediocre, accidental, mortal. Whence could it have come to me, this all-powerful joy? I was conscious that it was connected with the taste of tea and cake, but that it infinitely transcended those savours, could not, indeed, be of the same nature as theirs. Whence did it come? What did it signify? How could I seize upon and define it? 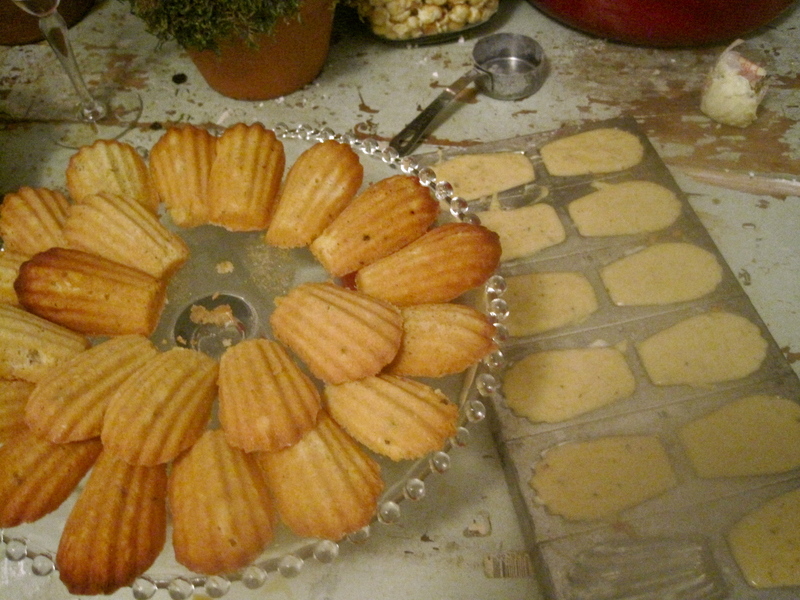 This was my first time making madeleines and I did lots of reading and testing and combining of recipes before I got a madeleine I really loved. 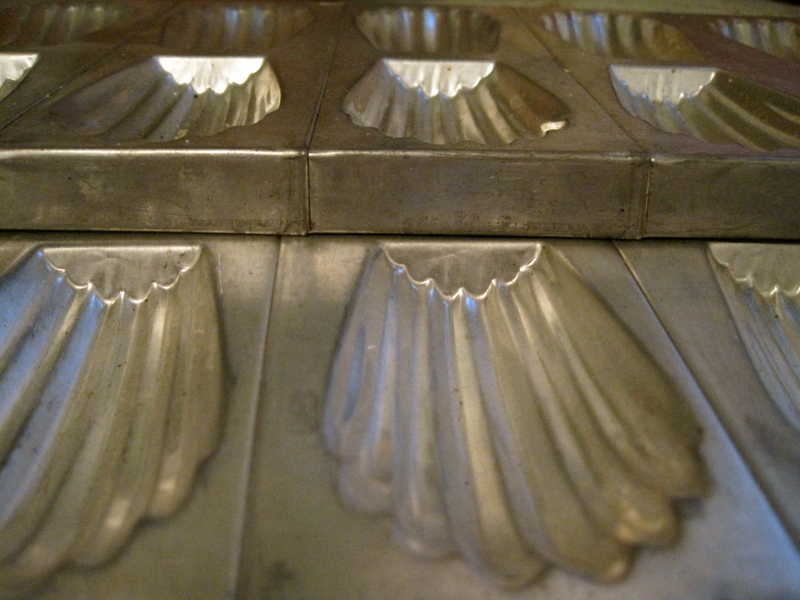 It’s a simple little cake but one that people have very strong opinions about and attachments to (ask Proust). These madeleines are perfectly fluffy with crisp edges and they are full of warm brown butter flavor and hints of lemon. Pre-heat oven to 350. Brown the butter in a pot over medium heat. Strain the milk solids out of the browned butter using a fine mesh strainer (a paper towel works fine too). Set aside to cool to room temperature. Grease your madeleine pan using the extra butter and dust lightly with flour (I’m sure Pam or some other cooking spray would work fine for this step too). 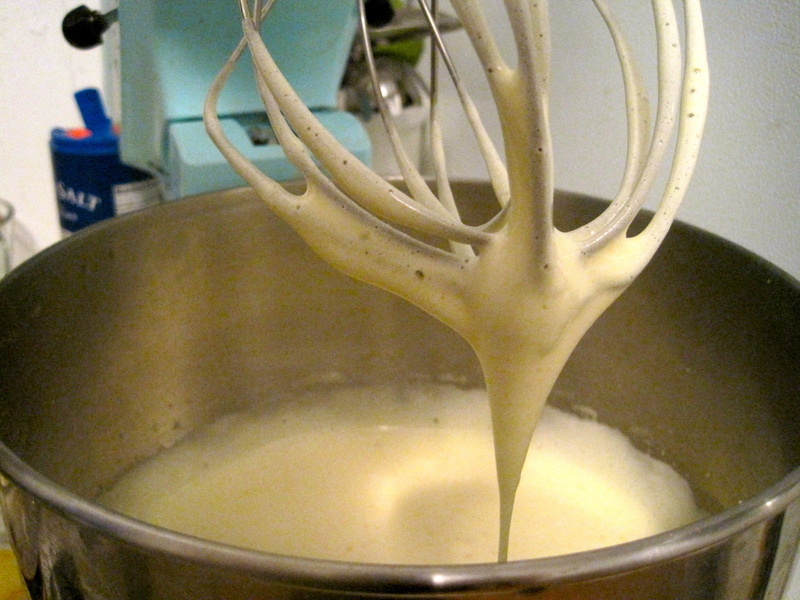 Add the eggs and the salt to the bowl of an electric mixer fitted with a whisk attachment and whisk until thick and roughly doubled in volume. With the mixer still running add the sugar in a slow steady stream. 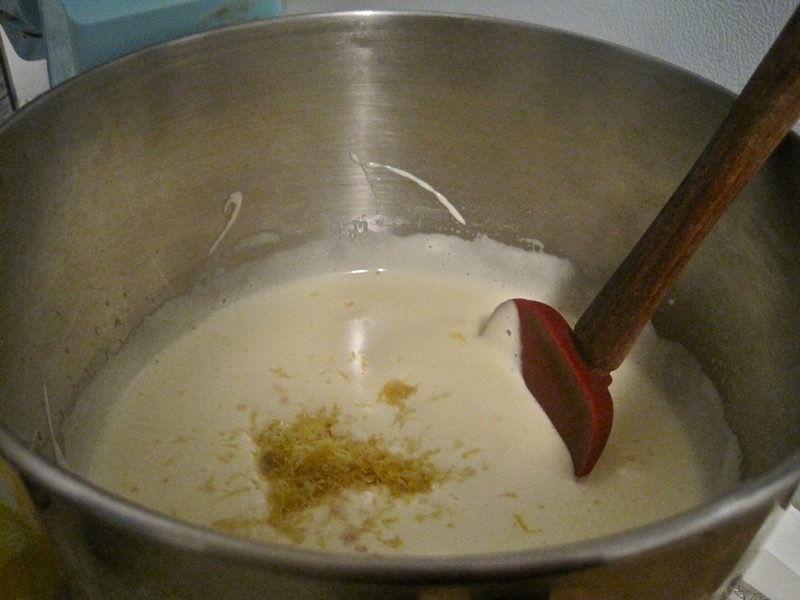 Continue whisking until the mixture is thick, about 2 minutes (mixture should fall from a spatula in ribbons at this point). 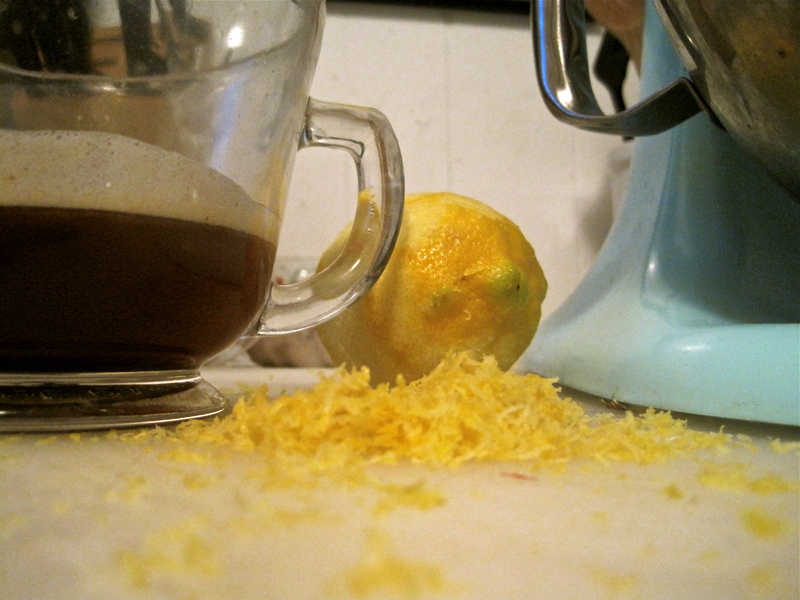 Gently fold lemon zest and vanilla into the egg mixture, being careful not to over mix. 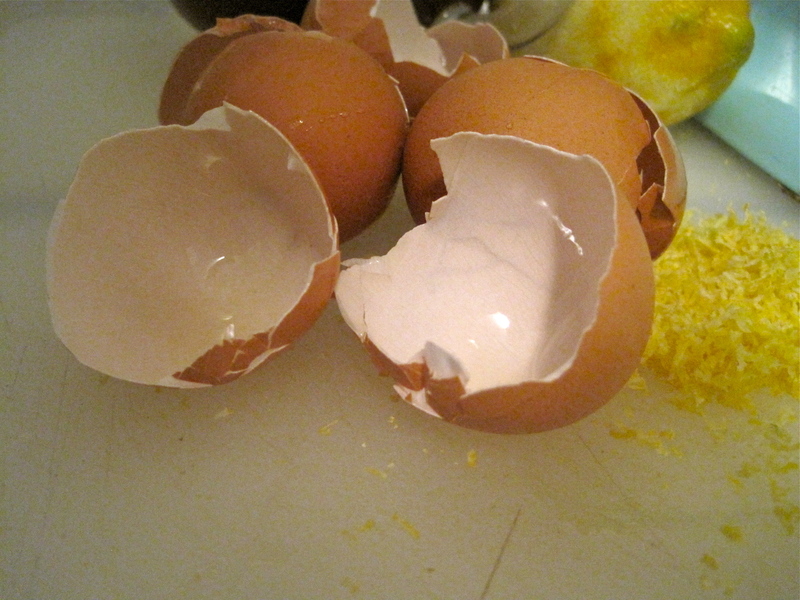 Now fold in the flour until just incorporated then gently fold in brown butter. 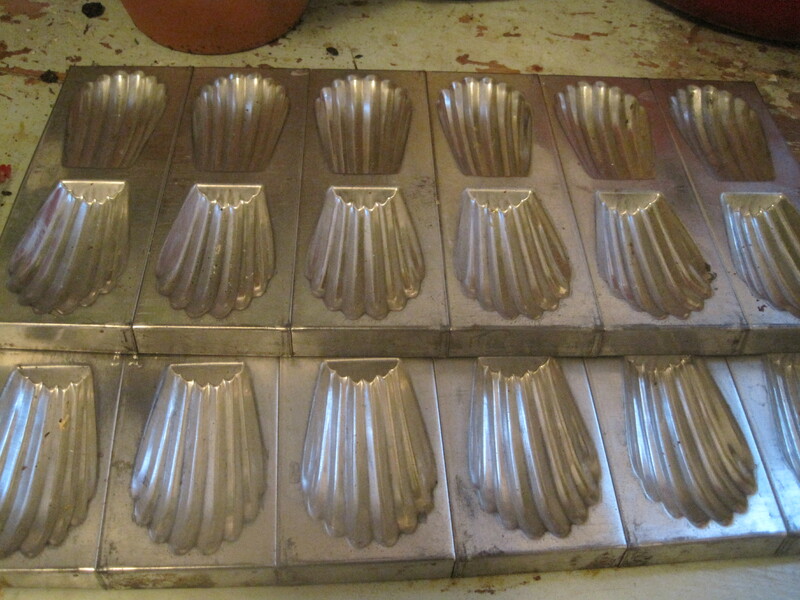 Scoop into madeleine molds (about 2/3 full) and bake at 350 for about 12 minutes or until the edges are nicely browned. Invert onto a serving plate and allow to cool before dusting with powdered sugar.